Instagram is used by millions of people around the world. Among these individuals are influencers, social media marketers, website owners and entrepreneurs who are looking to promote their products or brand on this platform. To attract your target audience on Instagram is tough and requires a lot of time and patience when done manually. This is where Instagram automation tools come in. Whether you’re interested in marketing or just looking for a huge following, these automation tools will do all the hard work for you in auto. 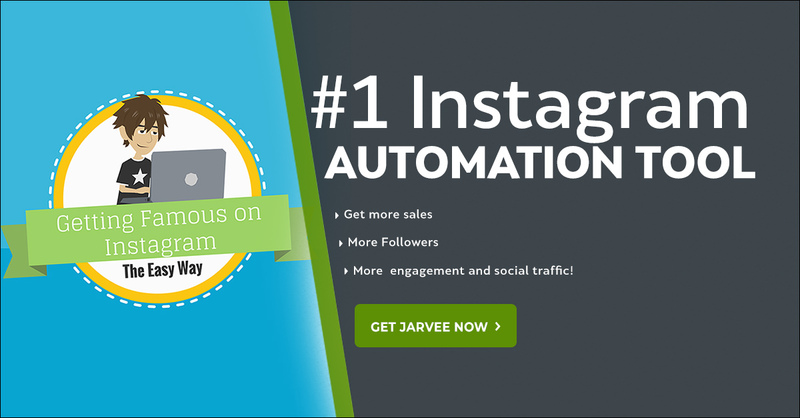 There are many automation tools for Instagram but Jarvee bot, which offers many amazing features, is the best of all. Although Jarvee works perfectly towards the desired results, it’s easy to use the tool wrongly out of excitement. Using Jarvee incorrectly can lead to following blocks, following bots and other undesired results. In this article, we will look at how you should use Jarvee correctly to achieve consistent Instagram growth. When setting up a fresh Instagram account on Jarvee, start with a few follows or unfollows per day. You can start with as low as 50 daily follows and gradually increase the number by 50 each day until you attain a maximum of about 500 daily follows or unfollows. Some people recommend a higher number ( some even 1000 or more follows per day) but if you are planning on building your account in the long-term, you should avoid such unnecessary risks. As you gain a massive following on Instagram, you want to make sure you target suitable users in your niche. Since different Instagram accounts target different users, play with the settings accordingly to get to your target audience. However, avoid using excess filters as that would make it hard for Jarvee to find enough users to target. You should put several factors into consideration when adjusting your Jarvee settings. Set Jarvee to perform its activities at certain times of the day and not 24/7. An Instagram automation tool should mimic the behavior of a typical person and no one can be active on Instagram throughout the day and night. Adjust the time so that Jarvee will be active when your target audience is most likely to be on Instagram. Choose to follow users with a profile because those without a profile could turn out to be bots. To improve your chances of getting noticed by your target users, like 2 or 3 of their posts randomly. Jarvee is able to identify and remove poor sources; those that you don’t get a follow-back from. It’s one o the features that make Jarvee unique and superior. By noting the best sources to follow, your future campaigns become easier. If you want to build your Instagram empire, with little effort and time, Jarvee bot is a must have. And by following this advice, you will grow your Instagram accounts 10 times more than normal. Previous story How to Scale up Your E-commerce Game through Instagram?